I don’t know how often I’ve been in that same situation listening to those same words. Unlike Groundhog Day though, there’s no Bill Murray, this is no romantic comedy, and the results tend to be the same almost every time (and they are neither romantic nor funny). It only takes several hours for someone to learn how to file for bankruptcy and to throw together random paperwork to file a bankruptcy case, but it can take years and tens of thousands of dollars or more to try to fix and litigate the mistakes in the paperwork if not prepared correctly in the beginning. And you can lose that amount, or more, in assets that could have been protected. It is hard to watch a debtor--and this could be you--learn that they will lose their home, money in their bank account, or a car they need to get to work because of an error by a preparer who has no expertise in bankruptcy. 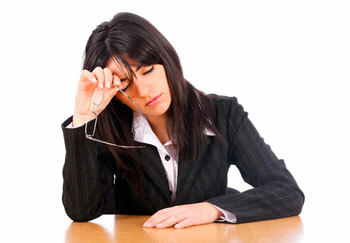 The point of filing for bankruptcy is to help ease your financial and emotional burden. It is designed to give you a fresh start in life so that you can pursue your dreams anew and become an active contributor of society. It makes sense to hire a competent attorney to help you navigate through the process and to get a successful discharge of your debt. The benefits of doing this far outweigh the affordable cost of hiring an experienced lawyer. When thinking about filing for bankruptcy, it is important that you start your case correctly -- most attorneys won’t even touch cases that someone else has worked on. Thus, finding an attorney who will take over your case at the point when you discover everything has gone wrong is incredibly difficult. Even if you do eventually find an attorney who doesn’t automatically tell you no, the fees they quote may be very high. And it may be up to four times more than how much it would have cost to have just hired them to do your case from the beginning. You wouldn’t try to take out your appendix by yourself or hire an in-home caretaker to do it for you, right? No, you would go to the hospital and hire a surgeon, a specialist. So why would you trust your financial welfare to a non-expert? Being thrifty is an admirable quality, especially when money is tight. But as I frequently see in court hearings, pinching pennies by deciding to file your own bankruptcy case is like stepping over a dollar to pick up a dime. We can work with you and offer a payment plan if necessary, but please get a reputable bankruptcy lawyer near you who can assist you from the very beginning.